Stephanie's Stampin Spot! : A little Spring this morning! A little Spring this morning! 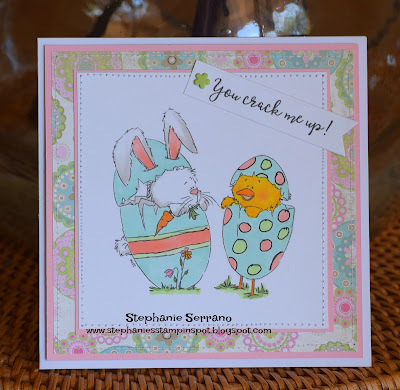 Playing with this cute cute image from Sassy Cheryl's Stamps today, love love, love it! I love Spring and anything to do with it! I colored with copics and the paper is from My Minds Eye. 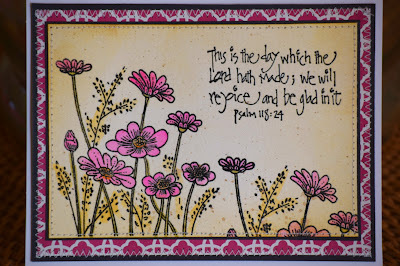 This next card is using Penny Black flower stamp and the sentiment is one I bought at HL this past weekend. I stamped on watercolor paper and used my brush- nothing more relaxing than water coloring! The paper is from DCWV. It's a really pretty floral creation for our 'Love, Hearts and Flowers' theme at Penny Black and More challenge, many thanks for joining in. Stephanie, these are both adorable. Look beautiful...we got 5 inches of snow over the weekend and another 3 inches today so it's hard to think of spring. Especially when that rodent saw his shadow, argh!!! Jimmy the ground hog is just down the street from me so sorry I want spring and it will be a LONG six weeks especially when it is 6 degrees right now and below zero with the wind chill. Two lovely cards. Your PB & More card is very pretty. Thanks so much for sharing with us at Penny Black & More. Die Blumenkarte gefällt mir sehr gut! Both your cards are wonderful. I love a watercolored card! 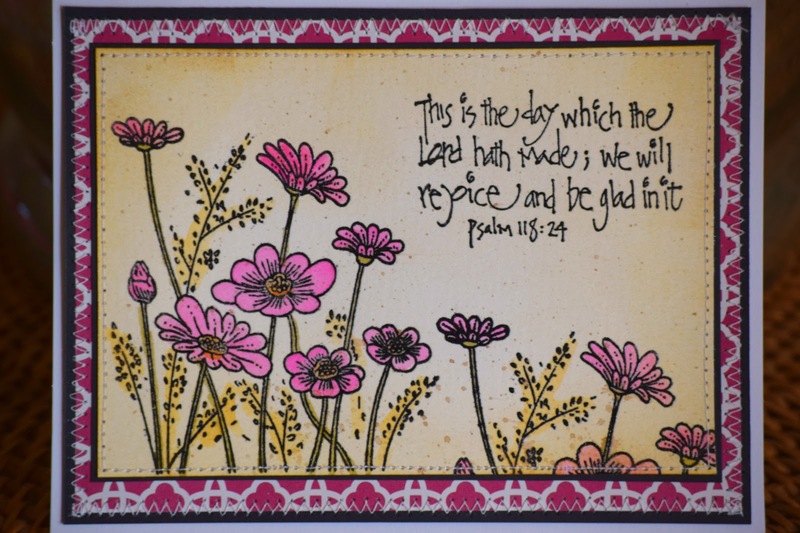 Thanks for sharing you wonderful inspiration with us for our February Penny Black Saturday Challenge !